The Universities of Edinburgh (UK), Ghent (Belgium) and Lund (Sweden) submitted a winning proposal for an Erasmus Mundus Masters Course in Fire Safety Engineering. The initiative was initiated by Prof. Bart Merci (Ghent University, co-ordinator), Prof. Jose Torero (formerly University of Edinburgh) and Prof. Robert Jönsson (formerly Lund University). The curriculum concerns a two-year programme. The classes in the first semester, covering basic topics in Fire Safety Engineering (FSE), can be attended in Ghent or Edinburgh. All students spend the second semester in Lund, where emphasis lies on enclosure fire dynamics, risk analysis and human behaviour. In the third semester, classes are again taught in Ghent or Edinburgh. The fourth semester is devoted to the Masters thesis, hosted by one of the three institutes, or one of our partner organisations. A limited number of fully funded scholarships are available. The EU has committed to fund 48 scholarships over the next 4 years. A taught postgraduate MSc in Structural and Fire Safety Engineering aims to equip engineering graduates and working professionals with specialist training in the analysis and design of structures to resist fire and other extreme loads. 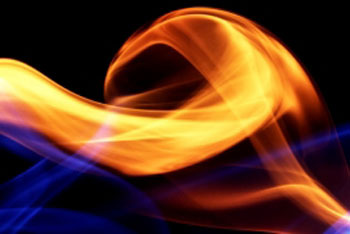 Innovative design allows more interesting and functional architecture but challenges traditional concepts of fire safety. To respond to these demands takes specialist knowledge and advanced skills in engineering analysis. 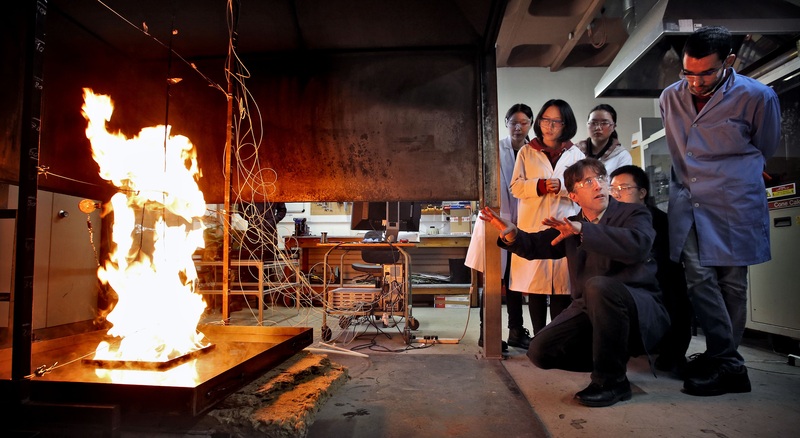 This programme covers the fundamentals of fire science, including laboratory classes, fire safety engineering and relevant structural engineering topics, such as finite element methods. Students will gain knowledge of the critical issues in structural fire safety engineering, and an understanding of relevant fire and structural behaviours. You will become familiar with performance-based approaches to design and have an awareness of the capabilities – and limitations – of relevant advanced modelling methods for structures and fire. Our Centre for Fire Safety Engineering hosts bespoke equipment to support groundbreaking research and teaching, with combined thermal and mechanical loading and use of the latest image analysis techniques.